Spoiler alert!! 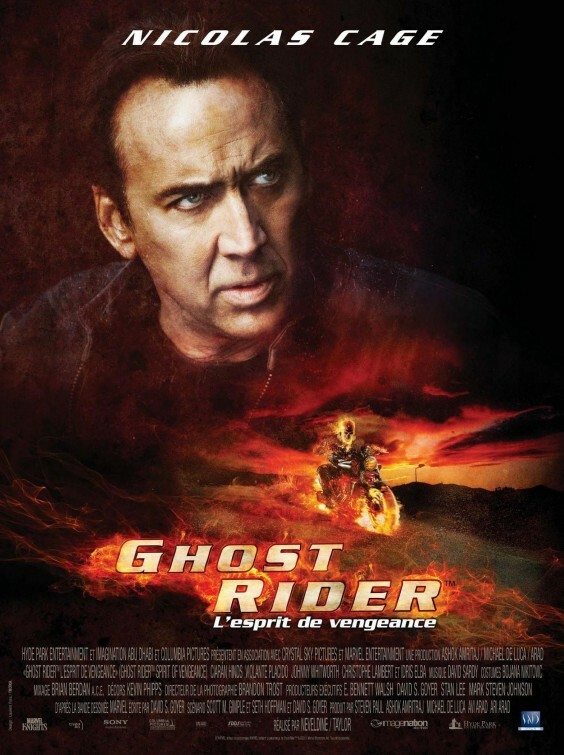 At the end of the first installment of Ghost Rider, Johnny Blaze (Nicolas Cage) is actually released from his curse of bringing evildoers to hell as the devil’s bounty hunter. But Blaze angers the devil (also known as Mephistopheles) by taking full ownership of the demonic curse, committing himself to use it instead to fight the devil! 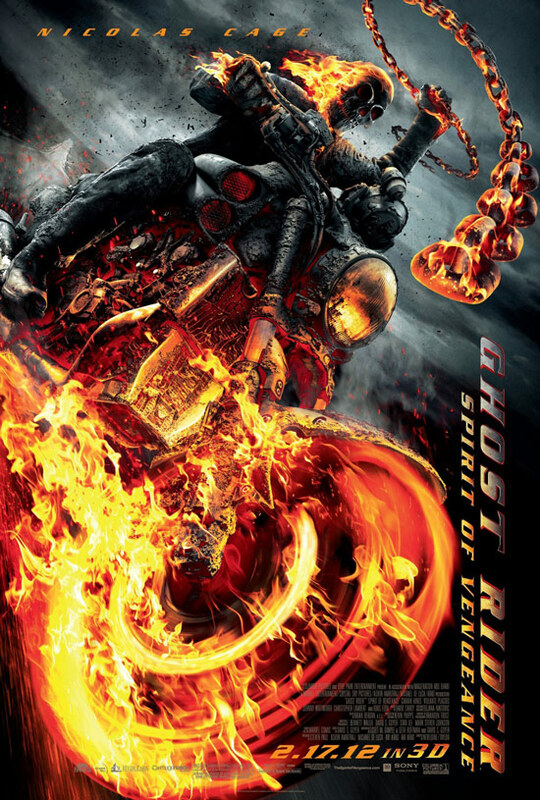 Ghost Rider: Spirit of Vengeance continues his crusade against the devil, as Blaze attempts to protect a young boy from being made into the anti-christ by Mephistopheles. If successful, Blaze may be able to be free from his Ghost Rider curse forever! So, Christian, what do we do with stories like this? Much of the general population only reaffirms their belief that the devil is totally make-believe when they watch these sorts of movies. Unfortunately, even many Christians can hold a cognitive belief in Satan, but really not think much about his very real work in this world. In order to hold the right view of Satan, we don’t need a movie like Ghost Rider at all–we need the Word of God. Scripture tells us that the devil schemes against God’s people (Eph. 6:11); that he is a roaring lion, our adversary, seeking to destroy us (I Peter 5:8); and, that he has been sinning from the beginning (I John 3:8). The devil is a real being that has always hated God’s people! What the Ghost Rider movies remind us is that there really is such a thing as a devil and spiritual warfare. People are regularly attacked by the devil and his minions. The name Mephistopheles (used in German Faustian lore for centuries as another name for the devil) is actually a combination of two words which mean “destroyer” and “liar.” But the question is, what does spiritual warfare look like? It clearly doesn’t involve being turned into some fiery skeleton who fights demons with fire and brimstone. And, unlike Johnny Blaze, none of us are on an individual crusade to save the world from the anti-christ. The truth about spiritual warfare begins with the gospel reality spoken of in I John 3:8, “Christ has come to destroy the works of the devil.” The perfect life, death, and resurrection of Jesus Christ brought the true death blow to the devil. As was prophesied in Genesis 3:15, the devil bruised the “heel” of Christ, but Jesus has crushed the serpent’s head. For all of His life on earth, Jesus resisted the temptations of the devil, freed people from demonic possession and oppression, and regularly demonstrated His lordship over demonic powers. Our success in battling the devil begins with the finished work of Christ! The second essential truth related to fighting the devil is God’s perfect sovereignty over all creation. As we learn so concretely in the Book of Job, the LORD has Satan on a “divine leash.” The devil cannot do anything against God’s people unless God allows it. Movies like Ghost Rider and Ghost Rider 2 typically have no reference to God–it’s just humans fighting alone against the demonic. God doesn’t really figure into the formula. So it makes the devil look to be much more powerful than he really is, ruling and terrorizing a God-less world. But the good news is that God is in total control of His entire universe, including the activities of the devil. Finally, according to Ephesians 6, the Christian is equipped with the armor of God to do battle against the devil’s schemes. We have spiritual weapons at our disposal–faith, truth, righteousness, the gospel, the Word of God, prayer, etc. Johnny Blaze has none of these weapons to fight the devil. He is totally on his own with his fiery motorcycle and chain. The Christian is never alone; he has the weaponry of the Spirit. The Christian has the strength of Christ Jesus. As we depend more and more on the grace of God, our strength is renewed each day to deal with the attacks of the devil. And, as our mind is renewed by the Spirit, we can defend our minds against his lies and schemes. So as exciting as it may seem to be the Ghost Rider, and spit fire at the devil–our spiritual warfare is much more effective. Thanks to the completed work of Jesus, our adversary the devil is already doomed. As the people of God, our warfare against Satan is under the command of Jesus Christ, the lover of our soul. We have nothing to fear and we will never be ultimately defeated. As soldiers of the army of God, we rest in the fact of our everlasting victory and Satan’s complete and utter destruction! Ghost Rider 2: Who owns your soul? Let’s go ahead and get this out of the way: Yes, it’s true, I am a huge Nicolas Cage fan. I will pretty much see any movie he stars in, no matter how terrible it is. And, yes, I know that Cage has probably never turned down a screenplay he’s read! Even more pathetic is the fact that I will watch many of his movies over and over again (especially National Treasure, Con-Air, and The Rock, to name just a few). To me, Cage’s films epitomize the old-school mindless “popcorn” matinee genre. So, yes, I even saw the first Ghost Rider movie (several times, actually). It also helped that the movie was based on a comic book–hard to turn that down! As you can guess, it received terrible reviews as corny, silly, and downright idiotic. That may be fairly accurate; but that movie, and it’s sequel, certainly provide great discussion fodder for Christians. How can it not, since the whole plot of the series centers on a deal with the devil! In case you missed the original Ghost Rider, let me summarize it for you (warning: spoilers from here on out). Johnny Blaze (Cage) is the son of motorcycle stuntman Barton Blaze. When Barton finds out he has terminal cancer, Johnny chooses to sell his soul to Mephistopheles (the devil) to save his dad. But the devil deceives Johnny and Barton dies in a motorcycle stunt. In his grief, Johnny leaves the carnival, his family, and his girlfriend, pursuing a death-defying career of stuntriding. Later, the devil meets Johnny again, proposing to release his soul if he will become his “Ghost Rider” and defeat his demonic son, Blackheart, who wants to produce all hell on earth. In the new Ghost Rider: Spirit of Vengeance, Johnny continues to battle the devil who is now trying to take human form. Blaze still carries the “curse” of the Ghost Rider, but he attempts to use it against the devil instead of for him (more on this subject in the next post). Stories about people selling their souls to the devil have been a part of Christian folklore for centuries. Faust, in the 16th century, most famously developed the idea of a person’s ability to exchange his soul for power, youth, wealth, or knowledge. This plotline has become known in literature as a “Faustian bargain.” In many of the stories, including Ghost Rider, the person who sells his soul finds a way to trick the devil and get out of the pact (typically on a technicality!). Now you may scoff at the whole idea of selling one’s soul to the devil. But think with me for a moment about the real problem with this fantastical idea: the humanistic premise that WE own our souls in the first place! Where the devil has deceived people throughout the ages is with the lie that we own ourselves. Grounded in that lie, we end up believing that life is just a matter of whom WE choose to GIVE our soul to! We are just free agents, dealing our souls to whomever makes us the best offer. So, if the devil offers more, we take it! But the truth according to God’s Word is that our souls are condemned to hell from birth, due to Adam’s sin. We have souls that are absolutely dead to God–by nature we are “children of wrath” (Ephesians 2:3). Our souls are enslaved to sin, held captive in darkness, and subject to God’s holy anger. So to think that people are just “neutral” players who are free to either give their soul to Satan or to God totally ignores the Biblical view of humanity. So the real devil’s goal is not to make a deal with you for your soul. Instead, he thinks he is powerful enough to keep you from having your soul freed by the grace of God! The devil seeks to keep you dead in your sins, entrapped in the world of darkness. And, yes, he does this by tempting and seducing people by the false promises of power, pleasure, wealth, and knowledge. He strives to convince people that the only way to profit is to let him “keep” their souls. These silly movies can and should force us back to the Bible to learn the truth of God, Satan, and our souls. Jesus Himself gives us a strong dose of reality in Matthew 16:26, “For what will it profit a man if he gains the whole world and forfeits his soul? Or what shall a man give in return for his soul?” If only Johnny Blaze knew the immense worth of Jesue Christ!